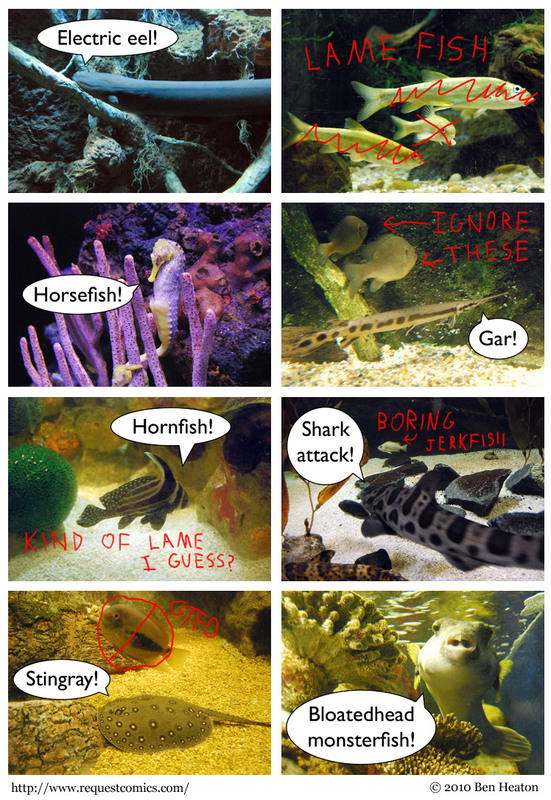 A comic involving fish! But awesome fish like anglerfish and eels, not lame fish like salmon. Finally, a chance to use an underwater camera. I couldn't dive deep enough to find an anglerfish, but I hope the other fish will make up for it.